Welcome to a different kind of customer experience in landscape & hardscape design! From excellence in landscape & hardscape design, materials and workmanship, to the people we employ, our hardscape & landscape company is committed to the highest standards. Our design/build philosophy is centered around you. That’s why our landscaping team members commit to uniforms with shirt tails tucked in, no foul language, smoking, or loud music on any job site. We even utilize random drug testing and criminal background checks. Easy? No. But we are reminded of the value we bring to our landscaping and hardscaping clients through their cards, emails, and repetitive thanks. We’re not like typical hardscape and landscape companies. We are so much more. Earth, Turf & Wood, Inc. is a professional design and build landscaping company serving the Lancaster, York, Reading and Hershey areas. We live here and we work here. We specialize in creating exquisite landscape & hardscape creations for your home. The area around your home is part of your family’s living environment. 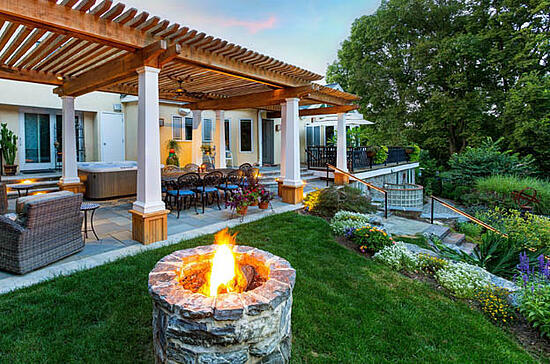 Our goals is to build your outdoor project for you to enjoy. We are one of the only design and build landscaping companies in the local area and the only landscaping company with a registered Landscape Architect on staff.